The CVV Number is the acronym for ‘Card Verification Value’ which is printed on the credit card. The Card Verification Value is an extra code printed on your debit or credit card. It is, usually, a 3-digit number printed or written on the back of the credit card. The CVV for Visa, MasterCard and Diners is the final three digits of the number printed on the signature strip on the back of a given credit card. 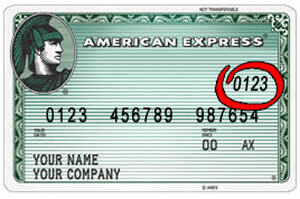 Whereas, in American Express cards, the CVV number appears as a separate 4-digit number printed in front of the card. The CVV is not embossed like the card number. It is not printed on any receipts; hence it is considered safe and is only known by the card owner. CVV is an anti-fraud measure that is being introduced by credit card companies worldwide. One is required to enter the CVV each time a payment is made and there is no need to sign the receipt. Same method is applied for the online transactions. The bank authorization page asks for the CVV to verify the card owner holding the card for the transaction. It also helps to avoid anyone other than the card holder to shop with the given card. All the submitted information is transferred over secure SSL connections. The name of this code differs per the Card Company. One may also know it as the Card Verification Code (CVC), the Card Security Code or the Personal Security Code. All names cover the same type of information.